Our latest product category offers all the display advantages of a high-performance tablet with none of the IT drawbacks. If your business has specific hardware or software requirements, please contact us for assistance. The GemView® 16 Tablet Display provides all the display advantages of a high-performance tablet with none of the IT drawbacks. 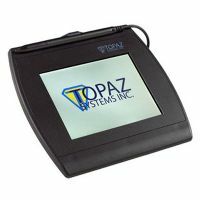 With its small footprint, 16.0" diagonal, high-resolution display and electronic pen, the GemView 10 allows for signing documents, playing videos, running ads, and much more. SDKs for development, and more. 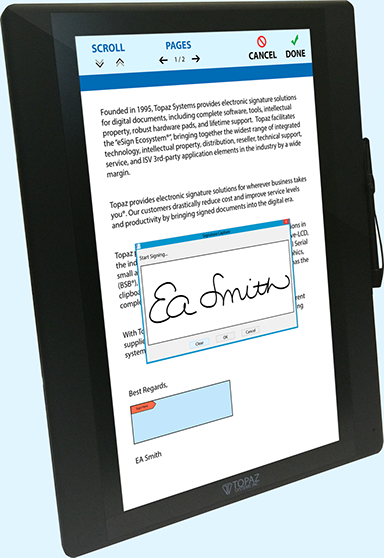 It also provides the benefits of secure biometric forensic signatures. 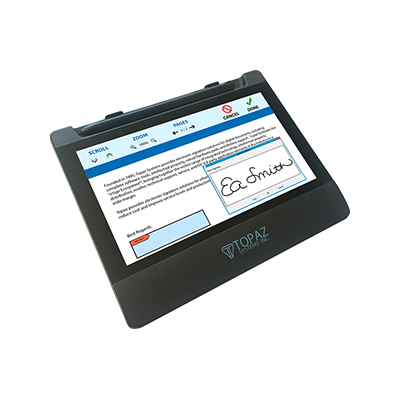 The LCD display allows users to see their signature while signing. The GemView® 10 Tablet Display provides all the display advantages of a high-performance tablet with none of the IT drawbacks. 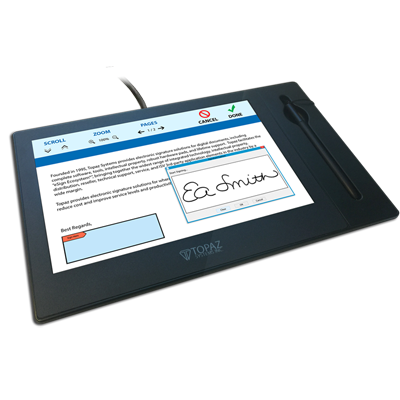 With its small footprint, 10.0" diagonal, high-resolution display and electronic pen, the GemView 10 allows for signing documents, playing videos, running ads, and much more. The GemView® 7 Tablet Display provides all the display advantages of a high-performance tablet with none of the IT drawbacks.